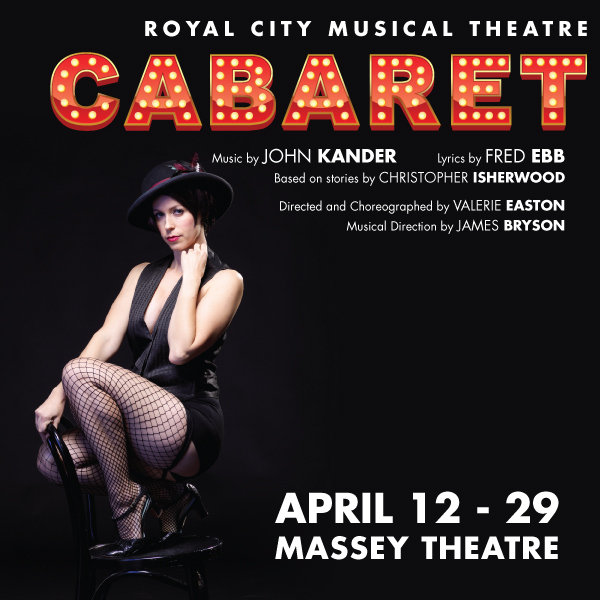 For its 29th annual musical production, Royal City Musical Theatre opened this weekend with Cabaret, a Tony Award-winning Broadway musical made notorious by Liza Minnelli’s movie version in 1972. On from April 12 – 29, 2018, the Massey Theatre stage has been transformed into the Kit Kat Klub, the main setting of the story. Set in the 1930s in Berlin as Nazi Germany is beginning its rise in power, Cabaret introduces us to the seedy, raunchy and entertaining side of Berlin. 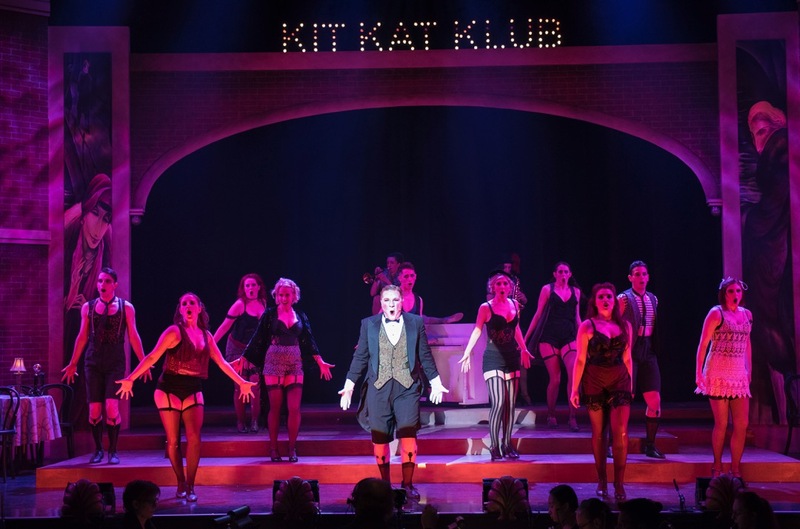 The musical focuses on the rise and fall romance between young American author, Cliff, and English cabaret singer/dancer Sally Bowles as they meet at the Kit Kat Klub. The Kit Kat Klub is where the action is, known for the prettiest and sexiest guys and gals in Berlin – reminding us to leave all worries, politics and troubles aside for some fun. A secondary romance takes place between Fraulein Schneider, owner of the boarding house that Cliff lives at, and Jewish fruit seller Herr Shultz. Piecing together the musical is The Emcee, the Master of Ceremonies from the Kit Kat Klub. We are welcomed at the beginning of the musical with the fun, upbeat and hilarious rendition of Willkommen sang by The Emcee (Andrew Cownden) and the Kit Kat gals. Andrew Cownden’s The Emcee, steals the show each scene he appears – at times sending chills down my spine as his creepy demeanour and expressions border between fun and playful to maniacal. Another talented individual is Cheryl Mullen, who plays Fraulein Schneider. Her introduction song So What? is powerful and lead me wanting more solo numbers from her. Her last song, What Would You Do? haunts the audience, filled with sadness yet not regretting her decision to leave her lover due to the political climate of Nazi Germany. Although Liza Minnelli set the bar for the character of Sally Bowles, Lauren Bowler’s version of Sally Bowles was exemplary. Her singing the whole evening was spot on, perhaps due to her being the singer of the band Side One, a four-time Jessie Award nominee, and also a local favourite for productions by the Arts Club, Vancouver Playhouse, and more. Her versions of Maybe This Time and Cabaret were stellar. 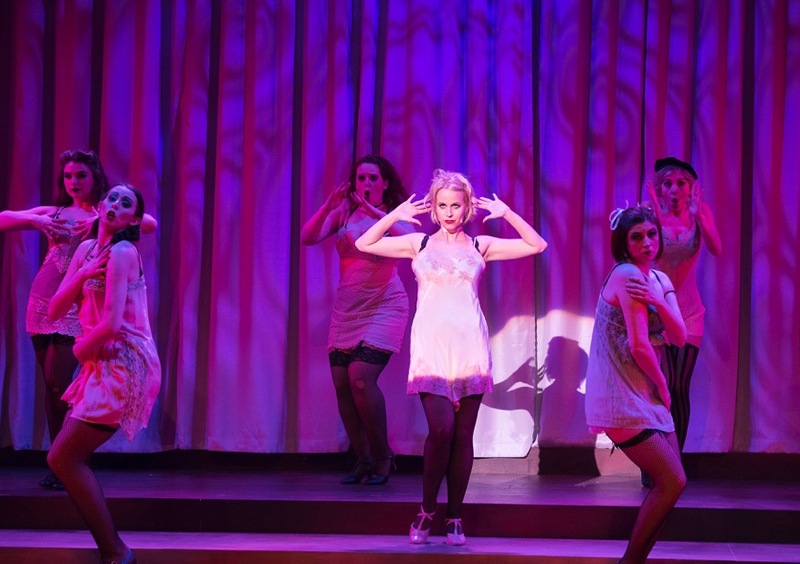 “Life is a cabaret ol’ chum, so come to the Cabaret.” Cabaret is on until April 29, 2018 at the Massey Theatre in New Westminster. For more info and tickets, visit www.royalcitymusicaltheatre.com.